She is one of the most well-known—and unknown—figures in U.S. history. A river, two lakes, and four mountains are named for her. But no one is sure how to pronounce or spell her name. 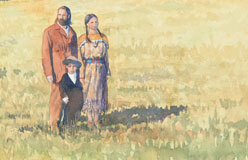 Every child in the United States learns about Sacagawea (sa-CA-ga-we-a). But what does anyone actually know about her? 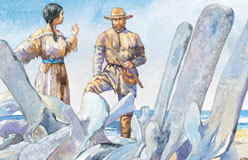 We know for sure that in 1805 and 1806 she traveled with the Lewis and Clark expedition. 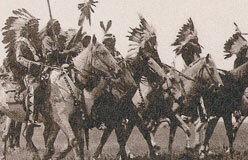 She was with them as they explored what would later become North Dakota, Montana, Idaho, Oregon, and Washington. 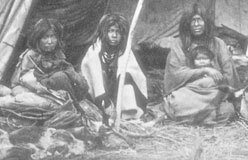 We know that she was of the Shoshone people. We also know that she was around 15 when she and her two-month-old infant joined a group of mostly white men whom she had never met before. 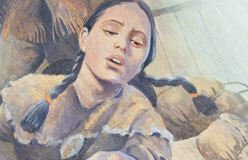 What little is known of Sacagawea’s life before and during that time is found in the journals of Lewis and Clark. 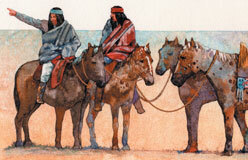 By all accounts, Sacagawea earned their respect and gratitude soon after she set out with them. How did this teenage mother fit in with a group of rough-and-ready soldiers? How did she earn their admiration? 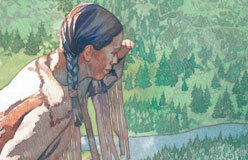 Read on as Kids Discover explores the life and legends of the Bird Woman.